The QWERTY Case can turn an iPhone into a Droid. If you have clumsy fingers, long fingernails, or just hate typing on the iPhone's touch screen, this might be a good alternative. 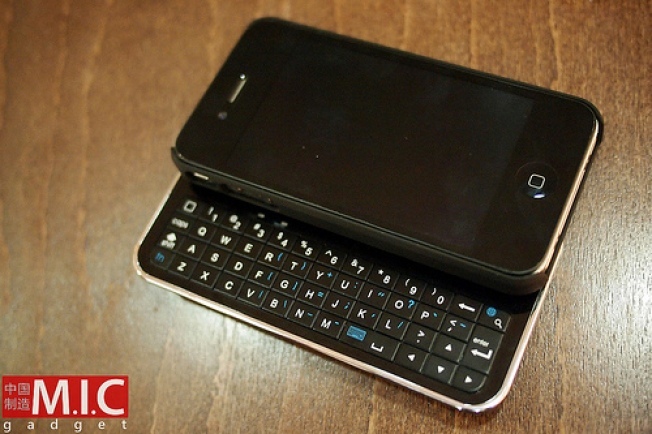 The QWERTY Case acts as a regular iPhone case with one cool feature: a slide-out keyboard. The keyboard connects to the iPhone via bluetooth and runs on a lithium battery. This thing could save you from many misspelled words. It's going for $25.90, but micgadget.com points out that the case triples the thickness of your phone. And there aren't any dedicated iOS keys. Nevertheless, it could still be fun to fool people into thinking you have a Droid or Blackberry. And just think of the satisfaction you could get from pressing down on actual buttons.